The Council for Work and Health is a company, limited by Guarantee (Registration No: 08364702). It is managed by a Board of Directors, elected by Council Members for a term of three years. The Chair is elected by the Board for a term of three years. After a 30 year career in occupational health involving a huge variety of different businesses and experiences, it is a privilege to be invited to take on the Chair in 2018 after Diana Kloss has expertly led the first 7 years. My experience in Royal Mail, in roles that varied from CMO, Director of Health & Safety, and CSR Director, over nearly 21 years, taught me the value of working collaboratively with a broad range of professionals to enable workplace health improvement. I was pleased to contribute to the arguments that show that good work and good health are associated and that successful businesses benefit from happy, healthy staff. The 2009 review of NHS staff Health and Wellbeing, which I was invited to undertake by the then Health Secretary, Alan Johnson (an ex Royal Mail employee) highlighted that good staff health contributed to better patient care, improved efficiency and greater likelihood of succeeding against Regulatory targets. The NHS continues to make progress on recommendations from this work today. The Council for Work and Health is well placed to contribute to the accelerating work and health agenda. The Government’s strategy articulated in its recent “Improving Lives” consultation and Command Paper has some challenging opportunities to deliver real change and improvement. However delivering these will take expertise and experience to develop ideas and approaches to support work and health improvements. Council and its members have that experience and knowledge and I look forward to working with them at an exciting time for work and health in the UK. 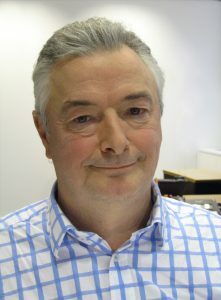 Tom Stewart is one of the Founders of System Concepts, one of the largest independent ergonomics, human factors, usability, health and safety consultancies in Europe. 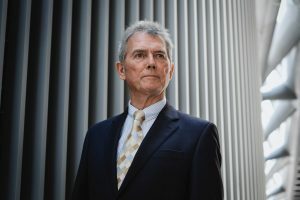 Following degrees in physics and in psychology at the University of Glasgow, he started his ergonomics career as a researcher and later lecturer at Loughborough University in 1970. A study for IFRA the International Newspaper Research Association resulted in co-authoring the book Visual Display Terminals in 1979. Later in 1979, he joined the management consultancy Butler Cox and Partners and worked on assignments and seminars in Europe, North America and Australia. He joined System Concepts in 1983, a company delivering ergonomics related projects for blue-chip clients, and became Managing Director in 1986. He became Executive Chairman in 2009 and retired in 2012. 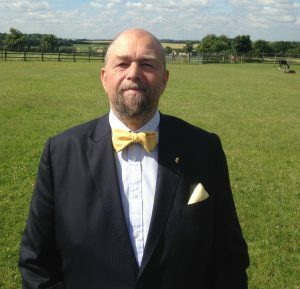 He is a past President of the Institute of Ergonomics and Human Factors. Since 1983, he has been active in British (BSI), International (ISO) and European (CEN) ergonomics standards. He is known in Europe, the US and Japan for bringing ergonomics standards to a wide audience in an entertaining and informative way. In his spare time, he is a Trustee of the Jubilee Sailing Trust (www.jst.org.uk) – a charity which operates two fully accessible tall ships which offer life changing adventures for all. He is a board member and Deputy Chair of the Council for Work and Health. He is passionate about the importance of good work and workplace design to prevent work related ill-health. Robin Cordell has been a Member of the Board of Directors of the Council for Work and Health since his election in May 2016, having previously been a member of the Council in his capacity as the President of the Society of Occupational Medicine. Over this time he taken a full part in the activities of the Council, including leading on strategy development, and on the Council’s submission in 2018 on the Government’s consultation on Health and Disability. He also represents the Council on the Public Health England Health and Work Advisory Board. Robin is also engaged in the development of occupational health practice in his capacity as the current President of the Occupational Medicine section of the Royal Society of Medicine. 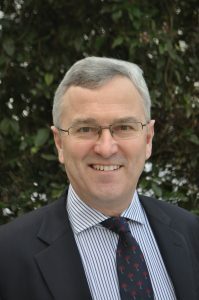 He has arranged successful one-day academic meetings on creating healthy, motivating workplaces (in Dec 2017, with other members of the Council speaking), on Work and Cancer (jointly with Macmillan in March 2018) and Hand-Arm Vibration Syndrome (jointly with the Society of Occupational Medicine in May 2018). Future topics include Ethics, the Law and Data Protection in Work and Health (jointly with the Faculty of Occupational Medicine, Nov 2018). As Medical Director of Cordell Health Ltd, a social enterprise providing specialist occupational health services, Robin is engaged with employers and others to foster cultures that promote and protect health at work, and to sustain those who have health problems and disabilities in work. He undertakes his own clinical work as a consultant occupational physician from the main Cordell Health clinic in Wokingham, and from regular clinics each week in London and Bristol. Mandy is the Deputy Head of the National School of Occupational Health. The school aims to establish quality management frameworks for specialist education of professionals working in of Occupational Health (including nurses, doctors, physios and other rehabilitation specialists). Mandy is an Occupational Health Nurse by professional background with over 19 years’ experience of delivering, managing and commercialising Occupational Health Services. Her most recent service role as General Manager at Guy’s and St. Thomas’ NHS Foundation Trust until April 2016. As a specialist in Occupational Health Mandy has contributed to many national expert committees influencing national policy in the arena of health and work, including the expert committee for the Boorman’s Review of Health and Wellbeing in the NHS, informing the quality standards for SEQOHS and the development of MoHaWK (a national benchmarking tool for OH services). Mandy is also a qualified Coach Practitioner, providing coaching services to young people and individuals going through professional transitions either into work for the first time, changing jobs/promotion or return to work following long periods of absence. Joy trained as a clinical psychologist in the U.S. and Australia. In addition to her clinical practice, her Australian career included research and teaching in academia and public service in Occupational Health, Safety & Welfare, and completing her MBA. Joy’s Canadian experience includes disability insurance in both public and private sector as chief Adjudication Officer an VP Disability. 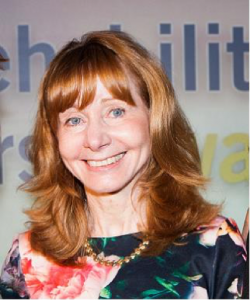 In the UK Joy has specialised in developing the vocational rehabilitation profession, as Head of Rehab for a major disability insurer, and trustee for the Vocational Rehabilitation. In 2015, she was awarded the Post Magazine’s Rehab First Award for Outstanding Individual Achievement in Vocational Rehabilitation. 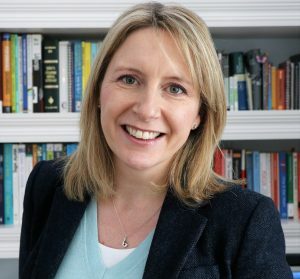 Most recently she has returned to her consulting, research and analysis roots, leading an innovative programme to support gender inclusion in the workplace. I am now a Trustee on the Board of the Vocational Rehabilitation Association, having been Chair of the Board for five years until I retired last year. I am also a member of the Board of the Council for Work and Health, which is supported by the DWP to promote the values of ‘good work, and good health’. I currently have a number of Non-Executive Director roles with companies in the construction, finance, and healthcare sectors. I am a member and Chair of acumen7, a network of business leaders and investors, and a visiting professor at the London School of Economics and also at ESADE business school in Barcelona. I also enjoy being a mentor to members of the Cambridge University Entrepreneurs’ Society, which supports post-graduates as they work towards commercialisation of new ideas and technologies. In that context, I Chair the Board of a university spin-out company seeking to move its carbonation technology from the laboratory into the industrial world. For a number of years, I was a Director of Spring Active Ltd, a company providing functional restoration programmes and rehabilitation for people with musculoskeletal disorders, and a Director of Digital Life Sciences Ltd, which worked with the NHS to improve patient access to local healthcare systems. Much of my work in the health sector is focused on influencing policy decisions, which impact on the ability of disadvantaged people to have an active life both at home and in the work environment. I am passionate about the need for alliancing between the many organisations that represent rehabilitation professionals in order to magnify their voices in the pursuit of systemic change. As a consequence, the VRA enjoys reciprocal arrangements with organisations such as SOM, CTN, MASCIP, IEP (and ERSA), BABICM, and CMSUK, as well as being a member of the Council for Work and Health which brings us into contact with the other 33 Affiliates on the Council. Karin is Assistant Director of Professional Practice at the Royal College of Occupational Therapists (RCOT), co-ordinating a large team across the UK to deliver support and resources for occupational therapists, and to promote and influence the impact and value of the profession to key stakeholders, and has been instrumental in developing the Improving Lives, saving money campaigns for the profession. 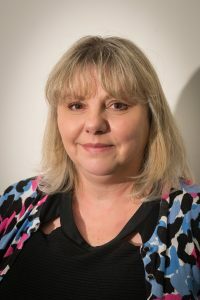 Karin has worked at RCOT since 2001 initially as the Consultancy Service Manager which required project managing service reviews and projects for clients, within the health, social care and private sectors. Her clinical and managerial experience was gained working in various occupational therapy clinical and managerial roles including Regional Specialist and Head of Service at the Newcomen Centre, Guy’s Hospital London. As an occupational therapist, Karin has the firm belief that work is an essential occupation to ensure good health and well-being and has taken up advisory roles on groups to support the shaping of the Government programme to reduce the disability employment gap. Recognising that healthcare professionals need to ‘ask the work question’ Karin has worked with Public Health England, to develop a PHE/RCOT Health and Work Champions programme to promote the integration of health and work conversations into routine clinical consultations. Karin has been a member of the Council for Work and Health for 3 years and is delighted to take on the director role. Dr Goldsmith has been an Occupational Physician now for over 25 years. He has been intimately involved in managed healthcare since 1980. He founded the Harrow Healthcare Centre, a model independent General Practice, in 1982 and was responsible for the foundation of Britain’s first health maintenance organisation where he began his new career in Occupational Health and Corporate Health Advisory services. He had previously been appointed Vice President of a major HMO in California,USA. In November 1993, Dr Goldsmith was appointed Group Director of Medical Services of Sedgwick Noble Lowndes Health Division and progressed quickly to Chief Medical Officer of the Sedgwick Group. His occupational health company was developed in the Sedgwick group with particular specialisation in Pensions and Disability Claims Management. In March 1998 he led a management buyout from Sedgwick resulting in the foundation of Medigold Health which is now Britain’s largest privately owned Occupational Health and Wellbeing provider and of which he is now Life President. Dr Goldsmith has chaired and spoken at a large number of national and international conferences and has also written many policy papers, books and articles on healthcare and he has been intimately involved in assisting the Government between 1988 and 2004 with its reform of the National Health Service. During this period he was appointed as a Senior Fellow in Health Policy at the Adam Smith Institute and holds this post to this day. He is a Regional Fellow of the Royal Society of Medicine and also sits on the Council of the RSM’s Occupational Health Faculty. 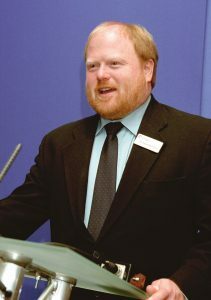 He also is a member of the Society of Occupational Medicine, a Director of the Council for Work and Health representing the Commercial Occupational Health Providers Association and also is a Council member of Conservative Health. He is a past Chair of his local Parish Council and still is a Councillor. His hobbies include Farming, Travel and Sport. He is a Member of the MCC and is an Honorary Life member of the East Midlands Rugby Football Union. 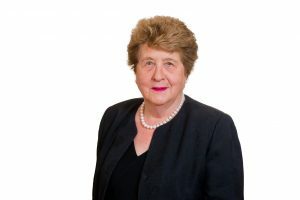 The Founding Chair of the Council was Professor Diana Kloss MBE, who was made Honorary President in February 2018. Natalie Beswetherick, Nattasha Freeman, Jan Vickery, Joanna Wilde, Hilary Todd, Christina Butterworth and Olivia Carlton.